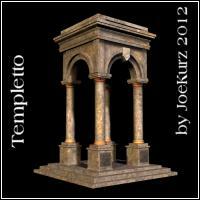 A nice templetto for your temple or historical fantasy scenes. 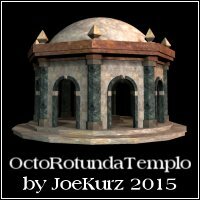 I added 3 different texture styles that can applied with one mouseclick to the temple (Poser mc6-files included). You will find them in the library Materials/Joe/Architecture. 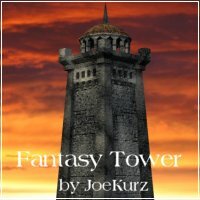 Another nice decorative add-on for your fantasy architecture. I created two versions: one simple out of stone, the second one has crystallic inlets that can emitt a soft glowing light. 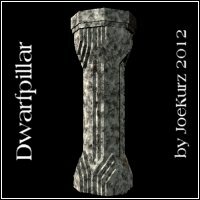 A nice wall element, - for your garden or historical fantasy scenes. The wall has two material presets to choose from. You will find them in the library Materials/Joe/Architecture. 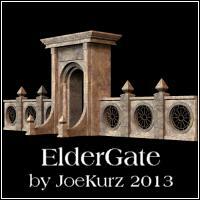 A monumental gate, - for your temple or historical fantasy scenes. 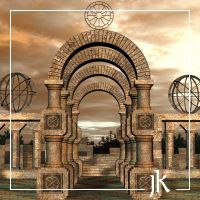 This package comes as a set of different props, plus the pre-arranged gate along with walls and pillars. You can use the included objects to compose your own structures. Click here to see some more pics and what`s included. 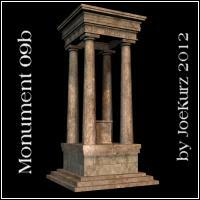 A monument, inspired by old Egyptian architecture - for your temple or historical fantasy scenes. 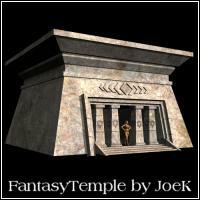 This is an enlargement of my previously posted fantasy temple - now with 2 wings added along with doric pillar hallways and 2 corner towers. All scaled to fit your Poser characters (minor scaling may be required). 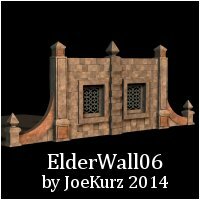 A wall element for your temple scenes. The apsis can be furnished with a statue or a firebowl, an altar, or what else you like. Hope you find it usefull :) Texture and Poser shader node setup included. An ancient monument or tomb stone - who knows ? 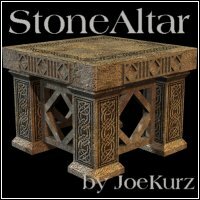 You can use it to furniture your temple scenes or build some old necropole down in the wastelands. Textures included. 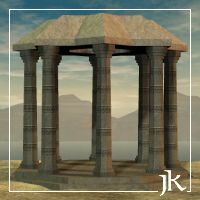 Inspired by ancient Greek architecture I built this construction kit, consisting of bricks, a pillar and some pre-arranged blocks for instant use. So you can compose your own templeruins of various sizes. They all use the same photorealistic stone texture (included). An empty minimalistic chamber from medieval times. It comes as 2 separate props: the wall section and the ceiling (can be removed). Both parts have shadows turned off, otherwise it would be too dark inside. You have to experiment to find out a good light setting. 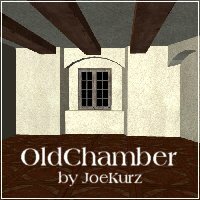 Now it's up to you to furnish the chamber. Maybe turn it into a monk's cell, use it as a library or laboratory, a medieval kitchen, a tavern or as a prison. Show me how you used it. All texture and templates included. This set contains 2 slightly different pillars. Inspired by the mines of Moria from Lord of the Rings. The dwarfs were famous for their stonework, masterpieces carved into rock and stone. 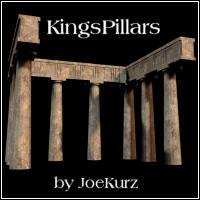 Pillars are scaled for your Poser figures. There is one textured version included, the other one uses Poser shader nodes (in your render settings you need to set displacement on). This set contains 7 props that help you to construct your own ruinous areas. All props are scaled for your Poser figures. There are 2 texture options included. Check out the sample pics. 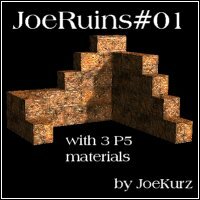 This set helped me to build my pillarruins01 (not published so far) und pillarruins02 (see previous post). 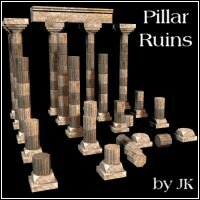 This is a complete pre-arranged set of pillars and pillar stubs, a field of ancient ruins. It is a single object, scaled for your Poser figures, all loads together in place for ease of use. You cannot move single pillars around. There are 2 texture options included. Check out the sample pics. I have another, larger set, plus single pillar objects as well. It is intended for an add-on package later. 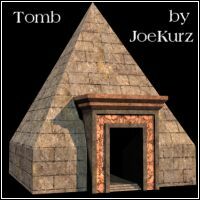 The tomb was inspired by old Egyptian pyramids and tombs. There is no interior, just a little chamber near the entrance. The pyramid is scaled to approx. 800% of a normal Poser figure. So your characters maybe get lost inside the pyramid. Just move them to the desired position. I added 2 props: one with shader node setup (no textures required) and one with custom textures. 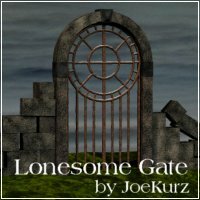 A monumental gate for your fantasy scenes. It started as a modelling exercise in Amapi. Built out of primitive extruded objects. 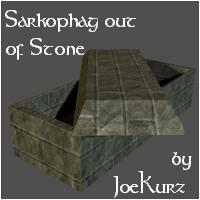 My generic stone texture is included. UV templates also included. This is an old object I did some years ago just for fun. I found no use for it yet, but maybe you have more luck. It can be used as a backdrop for steampunk or industrial scenes, just some thoughts. Texture is included. 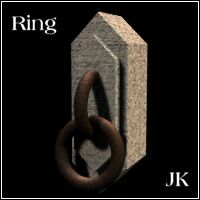 A simple rusty ring attached to a keystone. This is a complementation to my previous item, the torch. The keystone is the same one. The ring is a separate prop, parented to the stone, it can be moved separately or removed if desired. I changed the origin of the ring (you can see a green cross in the preview mode). You can use the zRotate dial. No texture included, all is done via Poser shader nodes. Developed and tested with Poser5. Should work with Poser6/7/8 as well. 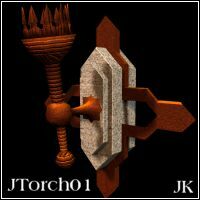 This simple fantasy torch comes attached to a keystone. However, the metal cross is a separate prop parented to the keystone, it can be moved separately or removed if desired. Move the torch along with the keystone and cross to the desired position. One bump texture included, the rest is done via Poser shader nodes. Developed and tested with Poser5. Should work with Poser6/7/8 as well. 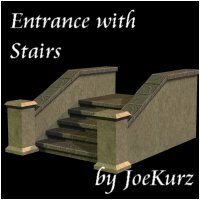 4 simple stair blocks that can be used to construct more complex staircases for your temples or palace scenes. One rough stone texture included. Developed and tested with Poser5. Should work with Poser6/7/8 as well. A chedi (another term is stupa) is part of a Buddhist temple area used to store the relics of the ancestors or holy persons. 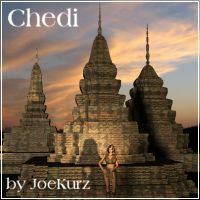 A chedi consists of five parts, e.g. the square base represents earth. Chedis vary in size from some few meters up to big buildings 20-30m in height. This one is a very simplified one, I took some artistic freedom. Girl is not included, only for comparison of scale. There are 4 built-in morphs to vary the shape a little bit. Just play. One texture included. Developed and tested with Poser5. Should work with Poser6/7/8 as well. A lovely architectonic item with a vault and pillars to furnish your fantasy or outdoor garden scenes. I composed it out of individual stones. You may notice some minor irregularities like gaps between the stones; they are intended to give the structure a more interesting and aged appearance. 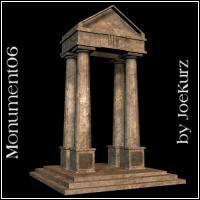 The package includes the vault structure plus 2 single pillars that can be added to complete your scene. 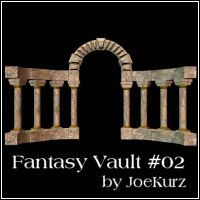 You also can mix with my Fantasy Vault #02. All textures included. Developed and tested with Poser5. Should work with Poser6/7/8 as well. 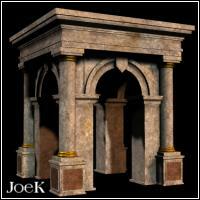 A lovely architectonic item with a vault and pillars to furnish your fantasy or outdoor garden scenes. I composed it out of individual stones. You may notice some minor irregularities like gaps between the stones; they are intended to give the structure a more interesting and aged appearance. All textures included. Developed and tested with Poser5. Should work with Poser6/7/8 as well. 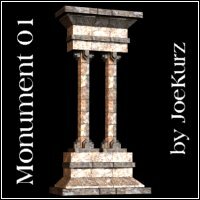 A collection of 7 items (such as single pillars, bricks and vaults) to build your own structures. I composed these items out of individual stones. All textures included. Developed and tested with Poser5. Should work with Poser6/7/8 as well. 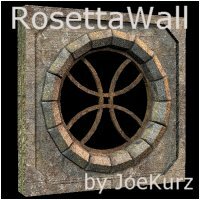 ... a nice fantasy wall section with round windows and a neat lattice inside, ready to use for your Poser scenes. 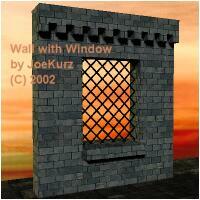 The wall, the window with lattice and pillars are all merged into one single object. The crystals on the top of the pillars are just added and prarented - so you can remove them and use your own stuff. All textures included. Developed and tested with Poser5. Should work with Poser6/7/8 as well. 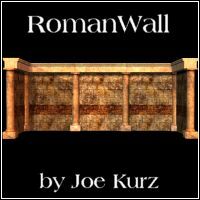 ... another addition to my Roman wall sets. 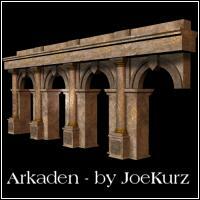 A complete wall along with pillars ready to use for your Poser scenes. The wall, the window and pillars are all merged into one single object. Wall is composed out of a simple one sided plane. The window is just fake with a texture map inside, so you can't see what is outside. All textures included. Developed and tested with Poser5. Should work with Poser6/7/8 as well. 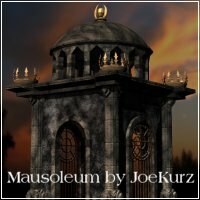 ... another addition to fill my fantasy town, inspired by Aquilonian architecture. 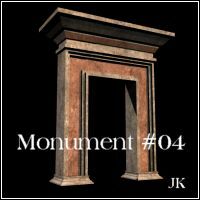 Please note: this object is built out of primitives and does not feature many details - therefore it is intended for background scenes, and not for close-ups. You have to adjust the scale according to your needs. The window holes are made with transparency maps. 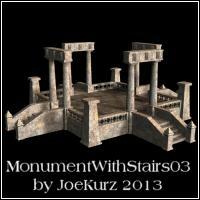 There are only few textures needed, most is done with procedural Poser shaders, namely "Granite" and "Turbulence". Developed and tested with Poser5. Should work with Poser6/7/8 as well. For better results you may tweak the scale of "Granite" and the x-, y-, z-Scale of "Turbulence". Also the bump strength may need some adjustments. Just experiment ! Background sky not included. A gate, and some ruinous walls, abandoned and forgotten since centuries. This is a Poser-ready-pp2-file and contains 4 separate props: the lattice, the vault, the right and the left wall sections, all loads together and is parented to the lattice. The items can be moved or removed. There are no textures included, all is done with procedural Poser shaders. Developed and tested with Poser5. Should work with Poser6/7/8 as well, some tweaking of the material settings may be neccessary. Background sky and terrain not included. This is a Poser-ready-pp2-file. The building loads in whole, the firebowls, the spire on the cupola plus the rear gate are parented to the building block and can be moved or removed. There are only 2 textures included, the rest is done with procedural Poser shaders. Developed and tested with Poser5. Should work with Poser6/7/8 as well, some tweaking of the material settings may be neccessary. Background pic not included. This is a Poser-ready-scene. All items (walls, pedestal, magic bowl) can be moved and arranged separately. 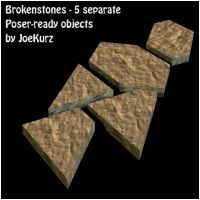 For further use just add the objects to your Poser library palette. The complete scene relies on procedural Poser shaders, no additional textures required (except of the background plane). Developed and tested with Poser5. Should work with Poser6/7/8 as well, but maybe some tweaking of the material settings is neccessary. 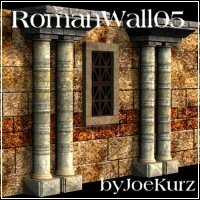 A complete wall set ready to use for your Poser scenes. 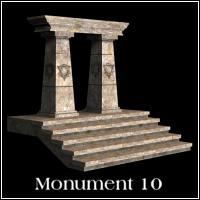 The walls and pillars are all merged into one single object. Walls are composed out of simple one sided planes. All textures included. More wall textures can be found here: Walltextures. Developed and tested with Poser 4, should work with Poser 5/6/7 as well. A simple ruinous wall, built out of individual stone blocks. The project started some years ago as a simple stone/brickwork construction kit. The idea was to have a couple of pre-made bricks to compose and build up complete buildings and stonework structures, even temples or ruinous areas. Click here to get an idea and see, what you can do with it ...These are pics from by old project. This comes as a solid structure, no blocks are movable, however I put a single block into this package, so you can build your own walls or add single blocks to the structure. Developed and tested with Poser 5, should work with Poser 6/7 as well. Note: this makes use of Poser's displacement map, you have to set the checkbox in the render options. There are 4 Poser5-materials included. A simple socket with a fantasy-styled firebowl on the top. Fire and bowl are separate props, parented to the pillar. 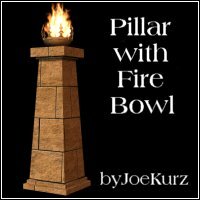 When you scale the pillar you have to scale the fire and the bowl as well. You may use the pillar allone, just delete the other two items if desired or move them anywhere else. 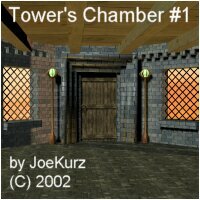 I created two different textures, a course stonework and a finer brickwork that simulates a bigger building. For the fire I used a transparency map. Developed and tested with Poser 4, should work with Poser 5/6 as well. Built with my stone/brickwork construction kit. It is a ready-to-use object for Poser, built out of individual stones, merged into one single object. The stone blocks have fased borders. The project started some years ago as a simple stone/brickwork construction kit. A rough stone texture is included. Developed and tested with Poser 4, should work with Poser 5/6 as well. The project started some years ago as a simple stone/brickwork construction kit. 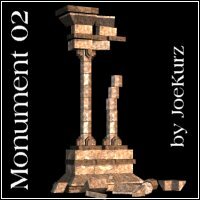 The idea was to have a couple of pre-made bricks to compose and build up complete buildings and stonework structures, even temples or ruinous areas. The possibilites are endless, it's up to you and your imagination and how much effort you want to put into. Although the basic bricks are of low polygon count, more complex structures could grow into huge file sizes. The same monument as in my last post, but in ruins. It is a ready-to-use object for Poser, built out of individual stones, but merged into one single object. The project started some years ago as a simple stone/brickwork construction kit. The idea was to have a couple of pre-made bricks to compose and build up complete buildings and stonework structures, even temples or ruinous areas. The possibilites are endless, it's up to you and your imagination and how much effort you want to put into. Although the basic bricks are of low polygon count, more complex structures could grow into huge dimensions. This is a ready-to-use object, built out of individual stones. The project started some years ago as a simple stone/brickwork construction kit. The idea was to have a couple of pre-made bricks to compose and build up complete buildings and stonework structures, even temples or ruinous areas. The possibilites are endless, it's up to you and your imagination and how much effort you want to put into. Although the basic bricks are of low polygon count, more complex structures could grow into huge dimensions. This item is intended to replace my old templegate (see my last item near the bottom of the page - don't use it any longer). This package contains 2 items: a simple gate and a wall element along with a gate and 2 posable doorwings. The door wings are parented to the gate and can be rotated. Girl is not included - just for comparison of scale. A rough stone texture with fake 3D effect is included. Developed and tested with Poser 4, should work with Poser 5/6 as well. This is an idea I brought from my last holiday on the Isle of Cyprus. There was an old medieval roman styled abbey, but with moresque/otoman additions. The whole building complex looked like and old caravansary. 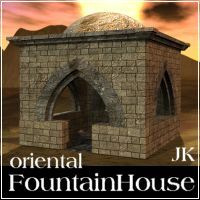 In the yard situated there was this old fountain house that inspired me to make this model (see reference fotos included). A rough stone texture included. Floor prop included, but no fountain, the room inside is empty, you may add your own fountain or whatever you like. 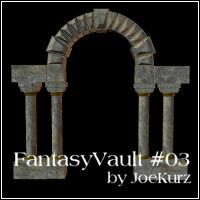 A constructive element to build long archway structures for your fantasy scenes. 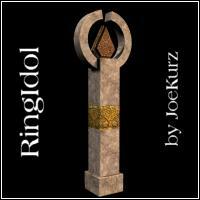 Built out of cylinders, cubes and rings, 3 rough stone textures included. Developed and tested with Poser 4, should work with Poser 5/6 as well. This is a nice wall element for your temple scenes. A vaulted entrance, decorated with pillars. 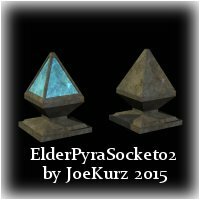 The pillers were created by using Poser primitives like torus, cylinder and cube. 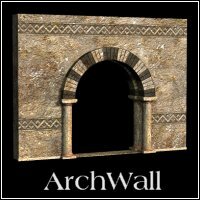 Tha package contains a complete wall element as shown in the image, a single arch with pillars and a single piller. So you can use these items separately. 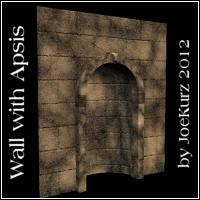 A rough wall texture with faked 3d effect and ornamentation is included. This is a low-poly wall element with window. There are 4 morphs included to change the shape of the window: small to big, narrow to wide, height. You can even change the window to get a door or entrance. 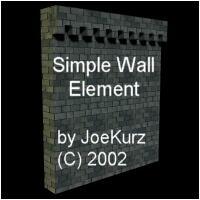 A rough wall texture included. Important notice: when you morph the window the texture will more or less get distorted. This is an issue where I have no solution. You can try to remap it yourself after the morph is applied, or you may use procedural textures/ shaders. 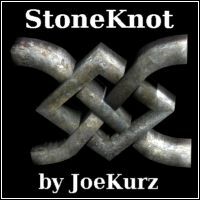 A 3D stone knot ornament for use as decoration for your medieval or old celtic halls. Or you can use it to build more complex structures. Reasonable low polygon count. A rough rock texture included. 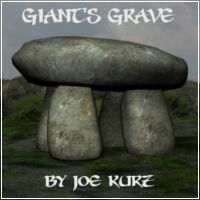 ... inspired by old celtic standing stones in France and Great Britain. 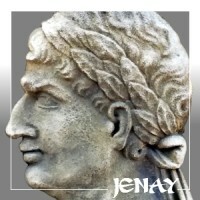 The place to celebrate old pagan rites during spring and autumn equinoctium. This prop I created with the help of my standing stones I made for the Stonehenge package, sold at Illusions-Designs. See some sample pics in the ZIP archive. A nice looking templetto or gazebo. I did this some time ago, but never published it. Here it is. 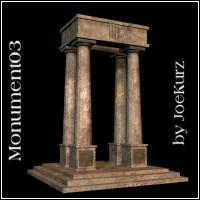 Textures included, one for the pillars with a nice 3d look. This is a stonealtar for your temple scenes and ancient rites. Textures and uv-templates included. 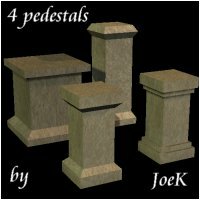 There are 3 different texture sets for the pedestals, one with a 3d look. 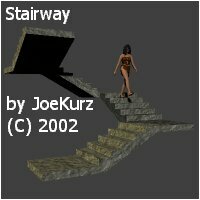 This is a low poly model, intended for background scenes without details. 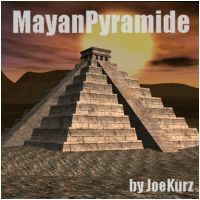 I used some reference fotos of the pyramide of Chitzen Itza, but it's not an exact copy. You have to scale it to fit into your scene. I added some stone textures, one of them is in B&W so you can colorize it according to your needs. Some bump maps included as well. Have fun. 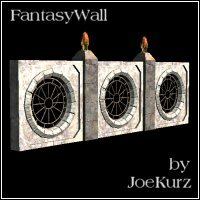 A fantasy wall element for use in Poser - the second one of my series. You can use it to build your temple scenes or your cathedral. You can mix it with my other scifi wall elements. A rough stone texture included. You may remove the glass section or set it to transparent. Have fun. 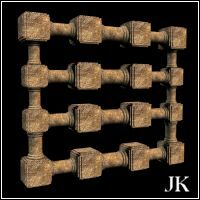 A fantasy wall element for use in Poser - the first one of a series I intend to do. You can use it to build your temple scenes or your cathedral. You can mix it with my other scifi wall elements. A rough stone texture included. Have fun. 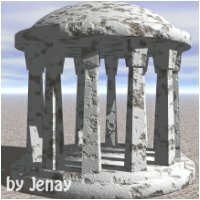 A simple rotunda, built out of various primitives. There is a OBJ file version included that can be imported and used with many 3d applications. Render is done with Bryce. 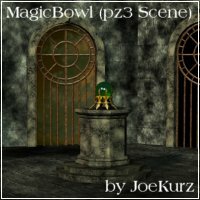 There is a PP2-version included as well for use in Poser. Have fun. 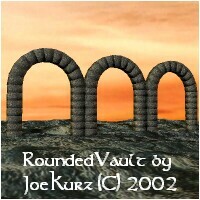 A gothicstyled vault, built out of individual stones. 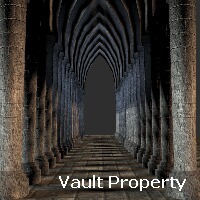 This package includes a single vault item, plus a combined item with 5 arranged vaults to build something like a cathedral's skeleton. Tree, terrain and stonework ruins not included. I made this upon request. This package includes 5 separate Poser-ready items. Copy them in any Poser props library. You can scale them according to your needs. A rough stone texture included. Click here to see some sample pics. 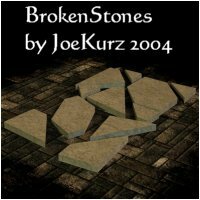 Stone textures and uv-templates included. Low poly count. It can be used for various kinds of entrance areas. A combination out of primitives. Scaled to fit your Poser characters. Textures included. 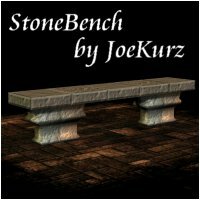 A StoneBench to decorate your scenes. A combination out of primitives. Low poly. Textures included. I created this one for a small grave/zombie episode. I needed a flag of a grave broken into many small pieces. Made out of some polygonal pieces and arranged together and exported as one single object. Texture and UV template included. 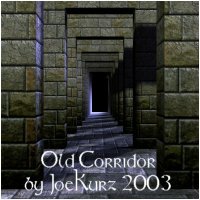 This is a new improved version with better edges and textures. This Poser prop imports 5 pillars at once. You can move them as one object. Build your temples, hallways and other things. 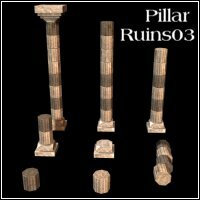 The pillars have 3 different materials (socket, pillar and top) which can be textured for all 5 pillars at once. The testrender with the girl shows the height of the pillars. Girl not included. Made out of 7 simple wall elements. 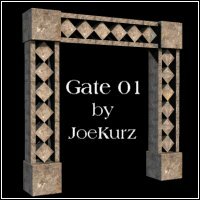 I created a new texture based on fotos, with a little help from my stonework package (see onlineshop - links and sample pics included in this package), digitally enhanced. 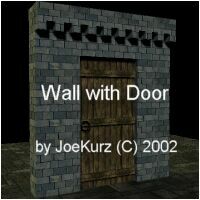 The texture can be applied to my other wall/door elements below. You can use the texture to create a realistic bumb map as well. 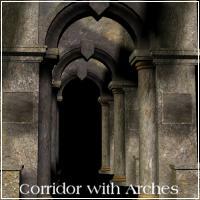 Notice: you may need to turn 'cast shadows off' for at least one light in order to see all details within the corridor. I made this upon request. 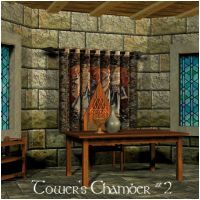 - Designed to fit to my tower's chamber. It uses the same textures (included). It uses 2 materials. For your windows or what else you can imagine. 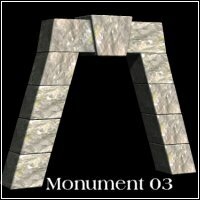 This is a real 3d object, not just a transmap. 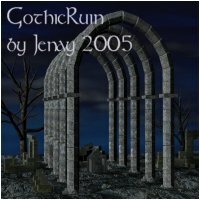 No UV-coordinates - I use it for my harem windows - color set to black. 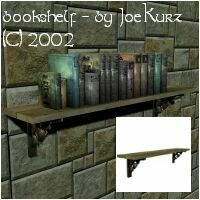 This is a simple shelf for books and other things. I made it combining a simple board and two more elaborated iron parts. Iron parts are not textured. A wooden texture for board is included. Books and wall not included. Just for demonstration purpose. 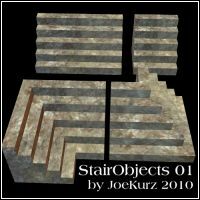 A single object, combined out of 4 stair elements. - UV mapped. Textures not included, you can download a rough stone texture at my textures section. Girl not included, only for comparison of scale - thanks, Geralday, for Jane. I built this item out of 27 individual stones. UV mapped. Textures not included, you can download a rough stone texture at my textures section. This scene comes as a Poser PZ3 file and consists out of 2 parts: one with the entrance door - and one with the windows only section. Both parts are arranged like an open stage - so you can place your characters into the scene. I switched cast shadows off for some wall elements and the ceiling - otherwise all will be in dark shadows. You have to experiment to find the best settings. All parts are movable/removable according to your needs.Templates and textures included as well as a stone floor texture. Click here to see some example pics. This comes as a Poser PZ3 scene file. You can move or delete the wooden door. 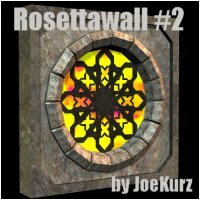 You can save the wall or the door into the Poser library palette to reuse both. Thus you can build a more complex scene. 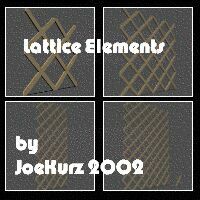 You can also use my wall with lattice. It fits to the wall. Templates and textures included as well as a stone floor texture. 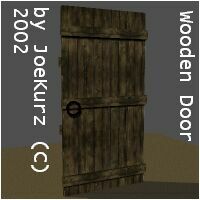 This is a low polygon wooden door for your medieval scenes. The beams, the door and the ring can be textured separately. Templates and textures included. The wall comes scaled to fit for use with your Poser characters. 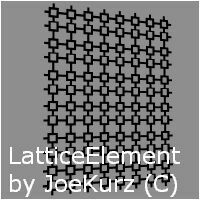 Lattice is included. The element has 4 different texture maps, you can texture the wall, socket, decoration and lattice individually - templates and textures included. You have to convert the textures into to bump files. A set of 5 elements. Use them for your windows, as garden props or as room separators. You can combine them - they are scaled to fit together. UV mapped. 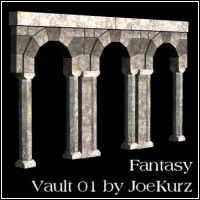 Inspired by the Halls of Moria in Lord of the Rings I created this vault. 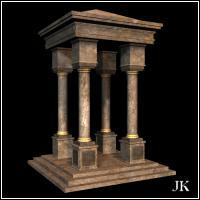 This single object is UV-mapped and comes as PP2 file for use in Poser - it consists of 10 pillars at each side and 5 vaults. One rough stone texture included. See my latest post near the top of the page. This is a simple entrance for temple scenes or such stuff. UV mapped. Temple priestess is not included - she only demonstrates the scale of the gate ... There are no textures included to save download space. You can download a suitable rough stone texture at my stone section. 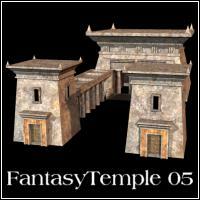 This is a more elaborated entrance for temple scenes or such stuff. UV mapped. Temple priestess is not included - she only demonstrates the scale of the gate ... There are no textures included to save download space.